How do you get rid of waste in your property? Do you resort to burning your waste without considering the kind of damage it causes to your life and the environment? If yes, then you should adopt new and enhanced ways of disposing of garbage. The best way to manage waste is to hire a skip. These are special containers designed to make garbage collection easier and more effective. Many people in SE18 Woolwich and Surrounding Areas have learned the importance of using skips for garbage collection. This has led to a considerable increase in the number of people searching for skip hire services in SE21 Woolwich and Surrounding Areas. We have decided to assist the residents of SE18 Woolwich and its environs with quality skip hire services so that they can enjoy safe and healthy living. At Easy Go Skips, we have put together a broad range of skips for hire. Each client searching for skip hire services in the area is assured of getting the precise type of skip they need. 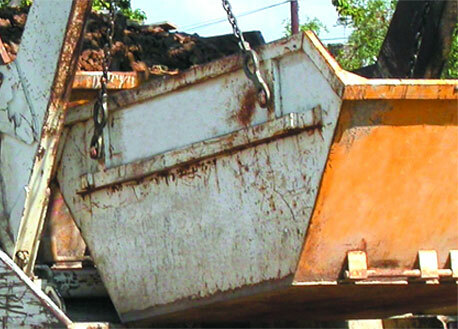 Furthermore, our skips come in a variety of sizes to fit different customer demands. Also, we have made our skip hire services readily available in SE18 Woolwich. You only need to call our hotline or drop us an email with the details of your project and we will get back to you with an inclusive quote. Speaking of cost, we pride ourselves on being the only skip hire firm in SE18 Woolwich and Surrounding Areas with the most practical rates. We will start by assessing all the essential details of your assignment so that we can prepare the most deserving quote. We also help you to trim down your budget by providing you with online quotes. That way, you won’t have to waste your time and money travelling to our offices in SE18 Woolwich for a quote.